Interface. It gives students a support system with access to resources and events. with transitioning to University life in the US. Our team was asked to asses this problem by developing a Conversational User Interface in a span of 10 weeks that can assist students with transitioning into their new community. Lead the project planning, had a heavy hand in the concept and its refinement, built out the deck storyline and presented with a partner to the class and Microsoft team. Overall, the work was very collaborative. Five students from various Design & HCDE majors at UW. With new College Students, the transition into a new school can be a huge learning experience and a large stressor without the right guidance, and access to resources and emotional support. International Students in particular have the largest gap to jump. We wanted to create a system that would help this specific user group as well as all of the incoming students. We began by conducting some secondary research on the current state of CUI and its uses in the market today. After this we tried to identify trends and find identify a problem that a CUI would have a clear advantage in solving. We discovered that CUI could be an assistant people transferring into a new environment because its accesibilty and ability to relay information quickly. The resources at UW are spread across over 13 sites. Many incoming freshman didn't know that most of these sites existed. Using the insights, we began to formulate some solutions. 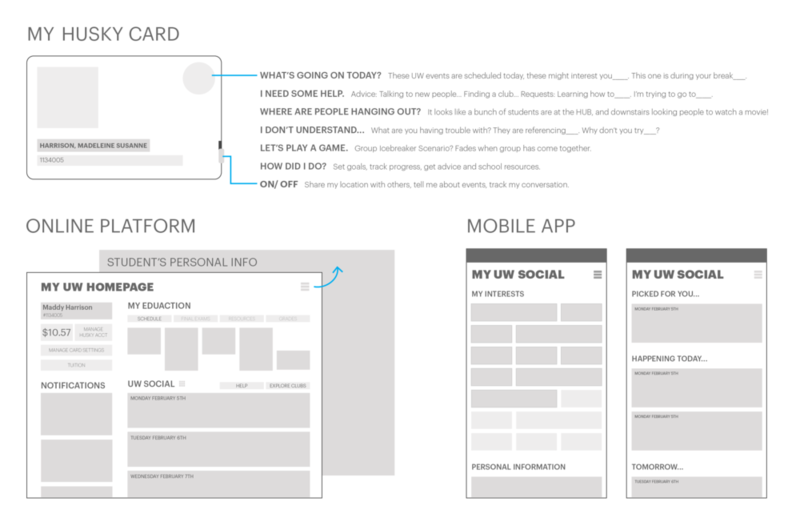 When designing a CUI, envisioning how the agent would interact with the students is best accomplished by developing a narrative in the form of a storyboard. 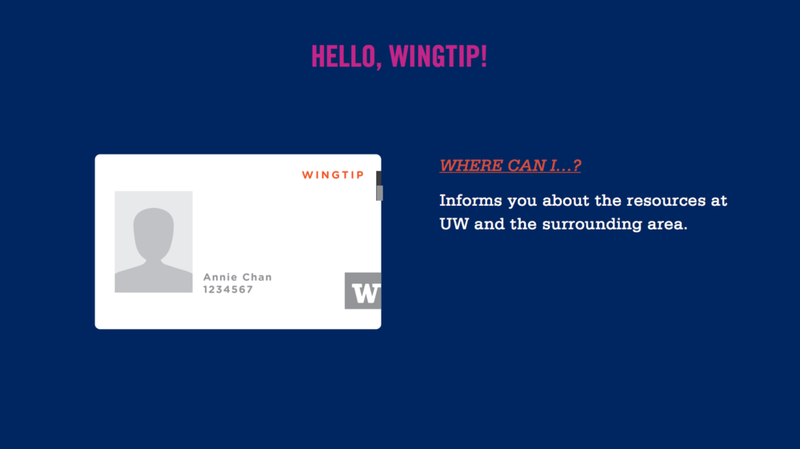 During our first round of concept presentations, we took the stance of targeting the International Students at UW because we perceived that they had a larger need for this device. 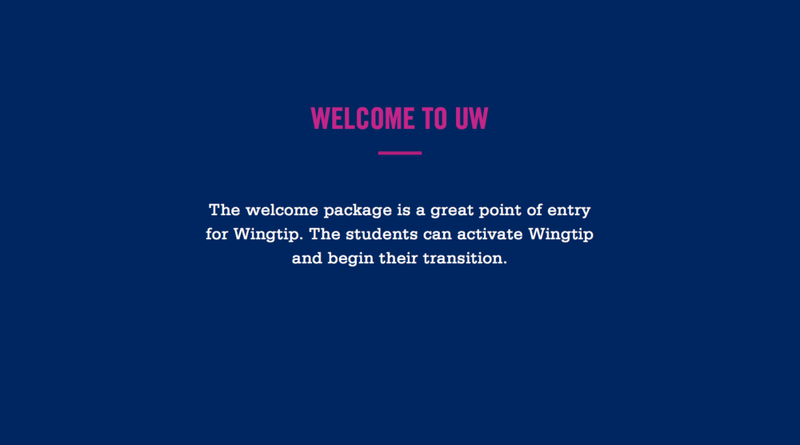 We received critique and realized that this needed to be for all UW students, but we needed to decide how it could support them all. 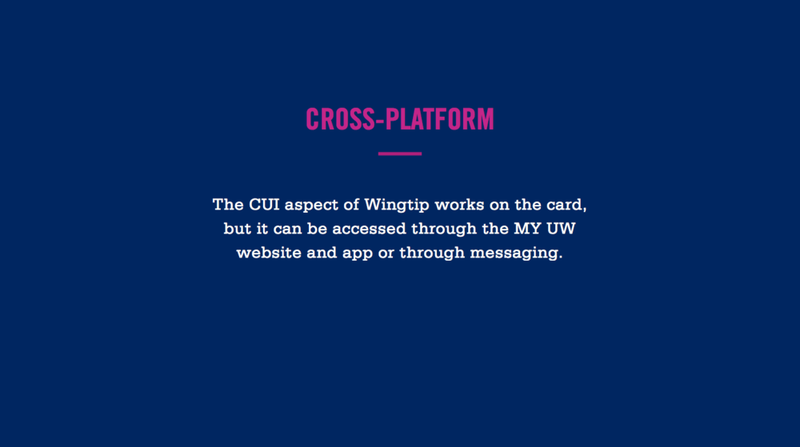 After another Storyboarding session we realized that we could benefit from defining the functionality of Wingtip. We sat down and defined the attributes that wingtip needed to have and drafted our final storyboard and script to showcase these features. The story became more cohesive and we began to film and outline the final presentation. Another laborious task was trying to formulate the Final Presentation Deck for our concept. 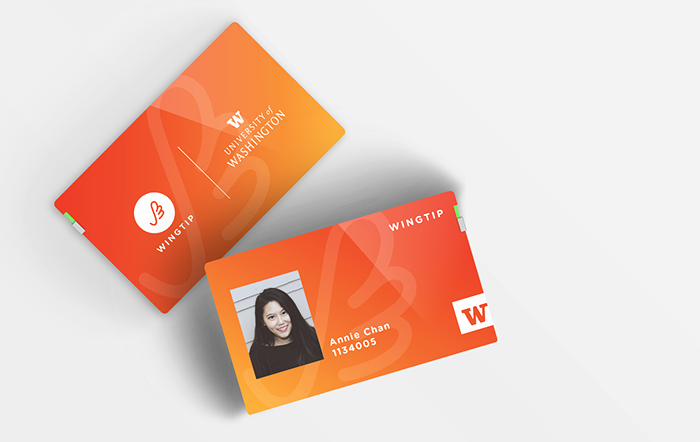 I sat down with another team member and drafted out a way to tell our story that filled any holes and described Wingtip’s functionality. I was very pleased with our progress over the quarter and we received positive feedback, including the comment, “I’m surprised that it doesn’t already exist” from a visiting UX Designer at Microsoft. Moving forward I would want to concentrate deeply on user flows that a student might go through with Wingtip. I would love to consider what makes up a CUI system and think about how it adds up to the personality that it can take on.